Nicola and Jonathan are an established Oboe or Cor Anglais and Piano Duo. Whether introducing audiences to neglected masterpieces by Rubbra and Howells or providing fresh and innovating readings of famous works by Schumann and Saint-Saëns, Nicola and Jonathan’s performances have been praised for their vitality, spontaneity and effortless ensemble. Nicola and Jonathan met at Cambridge University, where Nicola studied French and Spanish and Jonathan studied Music. Both were active participants in the Cambridge music scene, frequently playing together in the University’s Chamber and Symphony orchestras and in the opera pit. 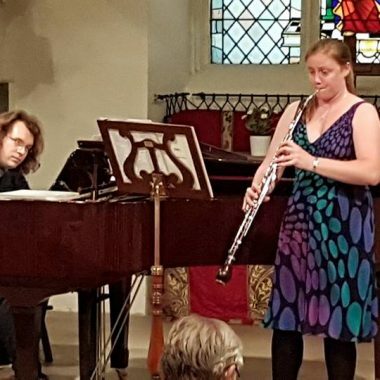 After graduation, keen to continue performing together and to establish a name for themselves as recitalists, the two formed a duo and have travelled across the UK to perform works for oboe, cor anglais and piano in venues including St. Mary’s Perivale, Winchester Cathedral, Bury Cathedral, Peterborough Cathedral, Waltham Abbey, St. George’s Hanover Square and Schott Music. 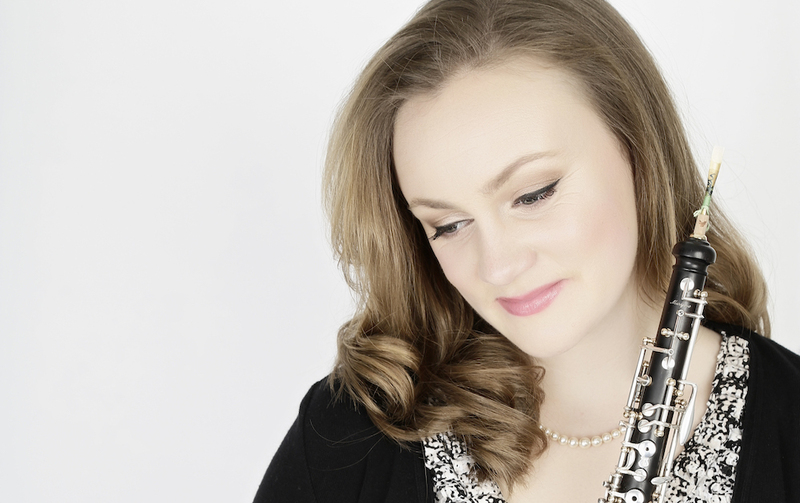 Nicola pursued her postgraduate studies as an oboist at the Royal Academy of Music, graduating from the Music Masters programme with Distinction in 2013, where she studied oboe with Melanie Ragge and cor anglais with Jill Crowther. Nicola was the 2nd oboe/cor anglais player for the Orquestra do Norte, Portugal, from 2015-2017, and is also a busy freelance player. Local reviewers in Nottingham and Cambridge have described her playing as both ‘beguiling’ and ‘exquisite’. 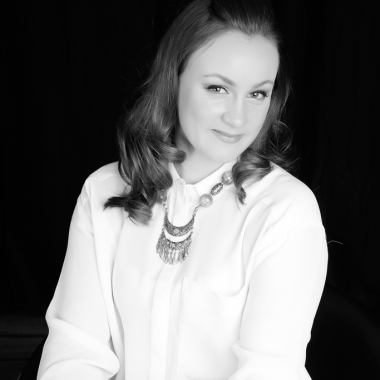 As a freelance performer Nicola has played regularly with the Royal Scottish National Orchestra, the Orpheus Sinfonia, the Orquestra Metropolitana, Lisbon, as well as many other orchestras in and around London. From September 2013 to February 2014 she was the oboe and cor anglais player for ‘The Light Princess’ by Tori Amos at the National Theatre, and has played for ‘Miss Saigon’ in the Prince Edward Theatre. 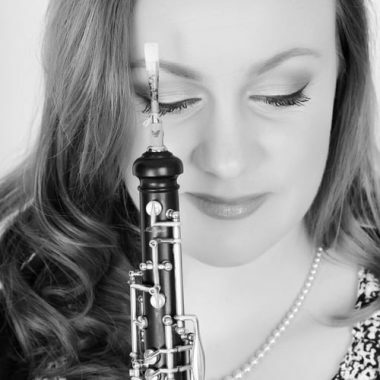 As a concert soloist, Nicola has performed the Vaughan Williams Oboe Concerto with West Forest Sinfonia, the Mozart Oboe Concerto at Jesus College, Cambridge and the Strauss Oboe Concerto in St. Mary’s Church, Nottingham. 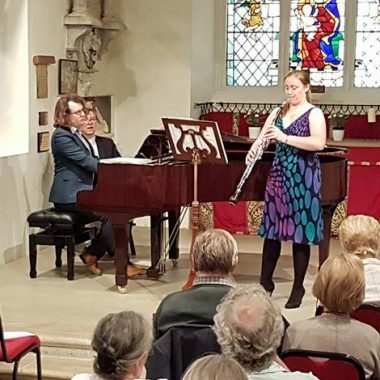 In 2015 she was awarded a Jellinek soloist’s award by Croydon Symphony Orchestra, and as a result performed the Albinoni D Minor Concerto in Guildford in 2016 and returned to St. Mary’s Church, Nottingham earlier in the year for a performance of the Marcello D Minor Oboe Concerto. In 2012 Nicola was awarded the Evelyn Barbirolli prize for oboe and the Grimaldi Cor Anglais Scholarship at the Royal Academy, and in 2013 she won the concerto class of the Hastings Music Festival Concerto Competition playing the Martinu Oboe Concerto. In 2013 she was also Highly Commended in the Leila Bull oboe prize at the Academy. After graduating from Cambridge, Jonathan undertook further study as a pianist with Graham Fitch. He has an active freelance career as an accompanist and repetiteur, enjoying engagements with groups such as Garsington Opera, Royal Opera House Youth Company, Opera Holland Park, Surrey Arts and Mahogany Opera Group; and accompanying recitals at venues such as St. Olave’s Hart Street, All Saints High Wycombe and St. George’s Beckenham with another duo partner, baritone Andrew McIntosh. Jonathan holds the position of Director of Music at Christ Church, Isle of Dogs, where, in addition to his duties as organist and choirmaster, he has founded a chorister school for children in the local area. He is also conductor of the Aldersbrook Community Choir and the East London Evensong Choir – a semi-professional choir specialising in sacred music – as well as accompanist to Upbeat Choir in Wanstead. Jonathan is also a prolific composer and librettist. His first full-length opera, These Things Happen, was produced at the Courtyard Theatre, Hoxton, in 2012. He was a finalist in the 2012 English National Opera Mini Operas competition with his chamber opera The Calling and in the 2015 Opera UpClose Flourish competition with his second full-length opera, Concrete Music. Jonathan’s children’s opera, St. Luke’s Shipwreck, received its first performance last month under his own musical direction, performed by a choir of around 80 primary-aged children. Whether introducing audiences to neglected masterpieces by Rubbra and Howells or providing fresh and innovating readings of famous works by Schumann and Saint-Saëns, Nicola and Jonathan’s performances have been praised for their vitality, spontaneity and effortless ensemble. The duo plan to release their first CD next year, and are delighted to be Selected Artists in the 2018-2019 Making Music brochure.